There are many opinions concerning when it is time to buy a home versus renting. This decision depends on many factors including the market of the city you are in, your personal finances, and your future plans. Today we focus on some important questions to consider when making this decision. One of the first things to consider when looking into owning a home is how long you would be staying in that home. If your job moves you frequently, you will need to consider whether dealing with buying and selling a home in a short time frame is the best move. Some choose to buy homes in each city they work in and rent the homes when they move on, others do not want to deal with the hassle of being landlords and choose to sell instead. In our market we find that the average time in a home is anywhere from 3 to 10 years. If you are planning on staying in the home for only a few years, a good plan would be to speak with one of the Carolina Girl to get some advice on whether that would be a wise investment in our market. Is it more cost effective to rent or buy in your market? Real estate is costly whether you are renting or buying, however it is a necessity. It is important to consider what the trends of your market are in regards to renting versus buying. 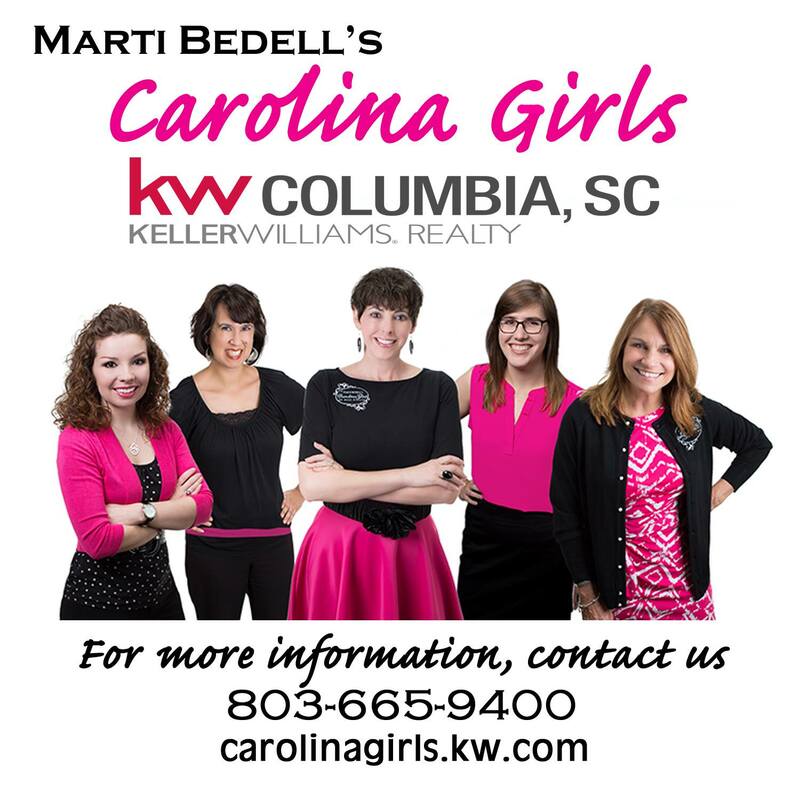 In Columbia, for example, it is less expensive to own a home than to rent in several cases. This is partially due to high rents resulting from the overflow of university students. We often have parents of university students purchase condominiums or homes in the Columbia area for their students in order to help with this expense. We, as Realtors, have access to a wealth of information related to renting and homeownership and can provide you with information concerning the costs of renting versus buying in our market. What is the cost of renting something similar? When weighing the decision of renting versus buying you should consider what you are interested in purchasing. If you are considering the typical three bedroom and two bathroom home a wise idea is to look at the anticipated mortgage and utilities of such a home as well as what the rent would be of something similar to it. Depending on the market in your area they may be drastically different, which should help you in making your decision. The most important step when considering purchasing is speaking with a lender to get pre-qualified. It takes about five minutes to call in, give them the necessary information, and find out what you qualify for. In that conversation they can tell you about the trends in interest rates, what programs are available for you to utilize, and what your credit looks like as well as tips on ways to improve it if needed. Many times you may qualify for a mortgage, however if you wait and work on your credit you may qualify for one with better terms. These are all questions to start asking early on in the process and comparing to what you pay in rent currently. What does the housing market look like in your area? When considering purchasing, you should schedule an appointment to talk with one of the Buyers Specialists on our team. Katie and Mary Grace can talk with you about the trends of the market in different areas and prepare you for what your price point looks like. In the greater Columbia area, the market is different depending on the neighborhood, county, school zones, and in some areas even the street. Identifying your specific area of interest and talking with a Buyers Specialist will help you to understand the market you are looking at purchasing in and what the trends of the housing values are. What is your current debt situation? Purchasing a home creates a large debt in the form of a mortgage. There are some advantages to a mortgage such as tax deductions, a locked interest rate, the potential of paying it off, and the potential of getting a return on the home when you sell. When looking at purchasing you do need to consider what debt you already have. It may be student loans, car payments, or credit cards that have not been paid off. Although you may qualify for a loan in spite of existing debt, we encourage our clients to be sure that the home is going to be a blessing without being a burden. Do you have the cash needed for purchasing? Unsurprisingly, buying a home does cost money. When purchasing you may choose to do inspections on the home which we highly recommend. The standard three inspections are a Home Inspection, Termite Inspection, and an HVAC Inspection. These together can run around $500 and are paid at the time of inspection by the buyer. Depending on your loan program you may need a down payment to put down as well. This is often as little as 3% of your loan amount, however depending on your price range that can be a substantial amount. Additionally, when closing on a home there are transaction costs, also referred to as closing costs, that are paid at the closing table. Your lender should be able to give you a rough estimate of what those costs. These are some of the important questions to consider when trying to decide whether to rent or buy a home instead. Everyone’s financial and career situations are unique, so it is important that you consider these questions even as your friends and family give their opinions. The best advice we can give is to do your research, involve the right professionals (lender and Realtor), and avoid rushing into a decision. Ready to start the process? Give our office a call so we can help with your real estate needs today!